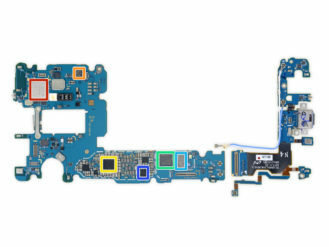 The good folks at iFixit never miss a chance to pull out their trusty Philips screwdrivers and heat guns to tear apart the newest phone on the block, and this time is no different. 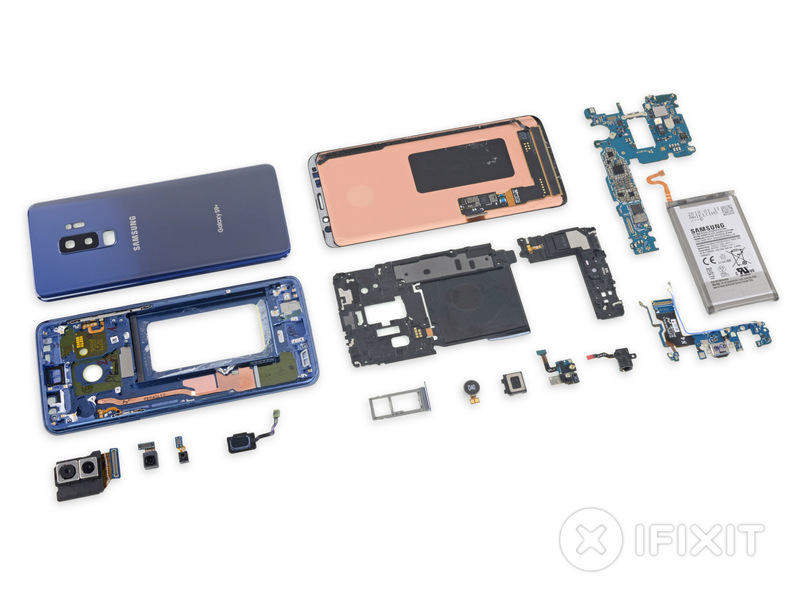 The new Samsung Galaxy S9+ paid a visit to iFixit's labs and came out with a very mediocre 4 points out of 10 in repairability. For comparison, Google's Pixel 2 XL got an above-average score of 6, the Essential Phone received an abysmal 1, and Samsung's Galaxy Note8 also scored 4 out of 10. The teardown begins with the removal of the S9+'s rear panel, which comes off in a single piece after an encounter with the heat gun and a couple of opening picks. With the back panel out of the way, we get a closer look at the adjustable aperture on the S9+ which allows for brighter photos in low light and a wider depth of field at f/1.5 — the widest on any phone — as well as the more standard f/2.4 for regular pictures. 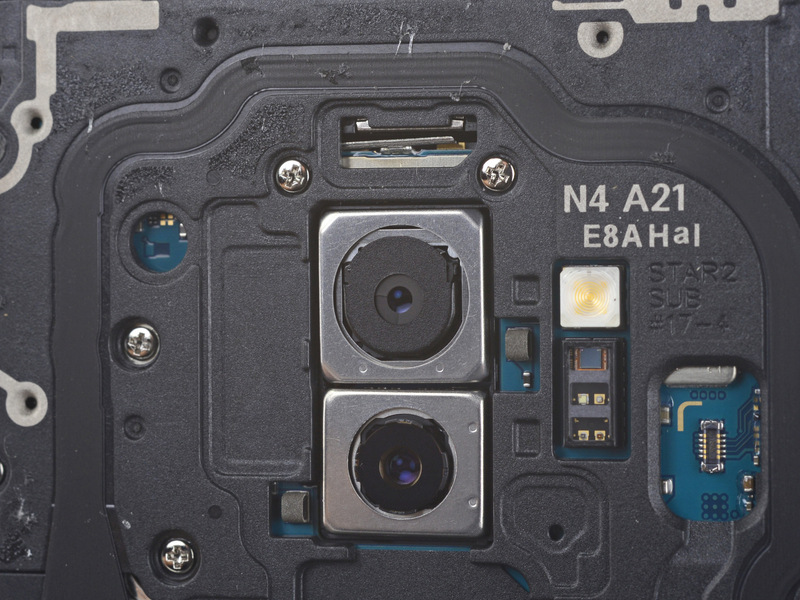 The guts of the S9+ are covered with a two-piece wafer which comes off after removing sixteen screws. The 3500 mAh battery doesn't want to budge, eventually requiring an adhesive remover to dissolve the glue and detach it from the rest of the phone. The battery is so well glued that iFixit estimates it would require "lots of heat, a pry tool, a fire extinguisher, a bucket of sand, and nerves of vibranium" to remove it from its place. 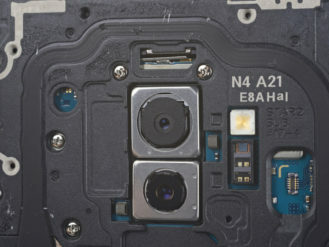 iFixit goes on to remove the rear camera module which, despite being made up of two sensors, fits on a single unit with a single connector. 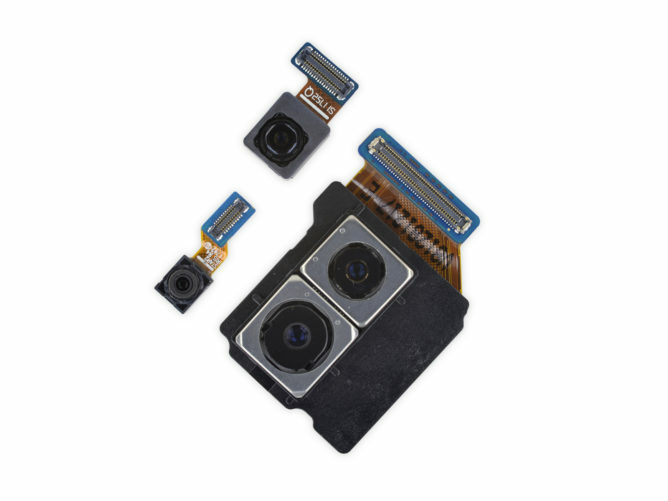 The front camera and the iris scanner also come out in the end, bringing the grand total to 4 image sensors on this device. Unfortunately for dongle enthusiasts, the Galaxy S9+ still has a headphone jack, so there's no need to use a dongle to listen to music, and you won't have to chose between charging your phone or plugging your headphones in... Just kidding, guys, there's no such thing as a dongle enthusiast, don't worry! The S9+ has a headphone jack, and that's unmistakably a good thing. 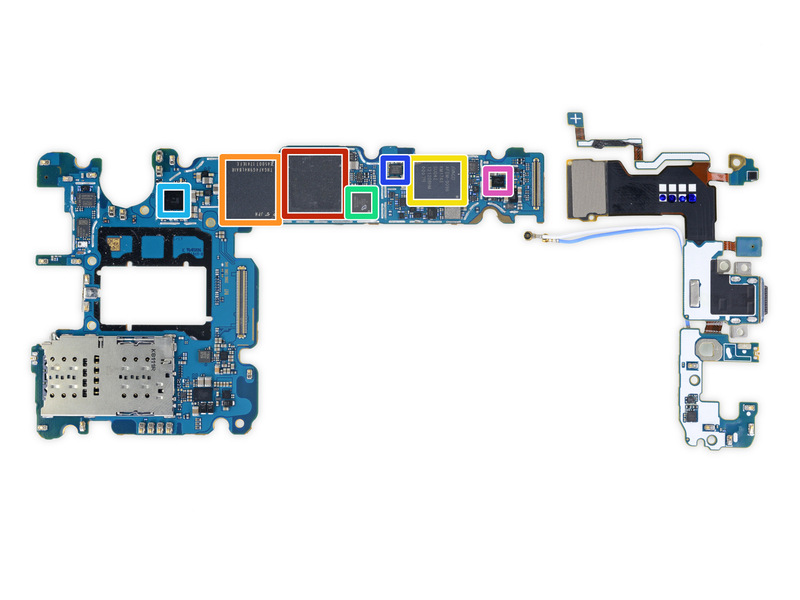 The motherboard comes out easily and reveals a slew of modules on either side. It's a marvel how small the actual brains of such a powerful phone really are. The last piece of the puzzle is the display, which takes a sizable effort to unstick from the frame of the phone, requiring a heat gun and some opening picks to remove. 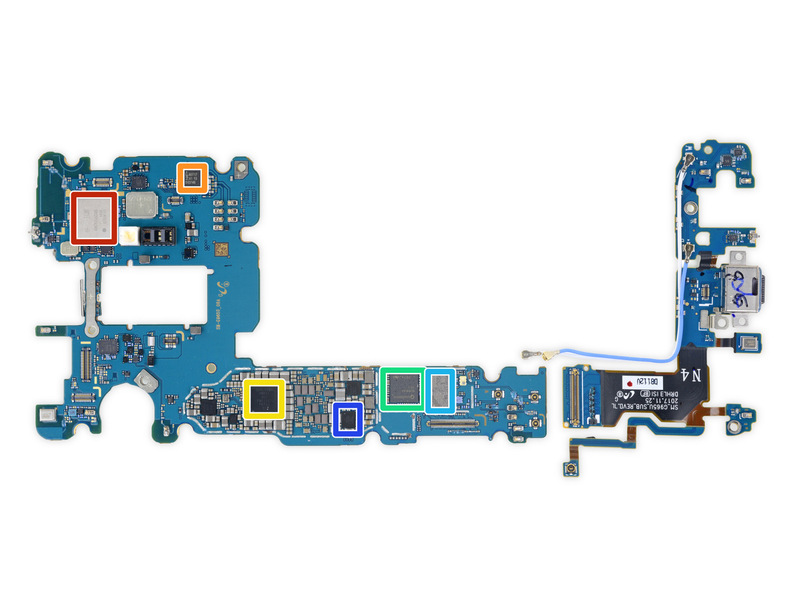 The Galaxy S9+ ends up scoring a weak 4 out of 10, getting points for the modularity of most of its components, but losing marks because of the difficulty of replacing the battery and the screen.